If you use more than one desktop, laptop or tablet running Windows 8.1 then you can use Microsoft's OneDrive platform to sync some settings across all of these devices, from the background wallpaper to the passwords stored in your browser. Here's how to configure the feature and to switch it off if you don't want Windows 8.1 to sync itself across multiple machines. 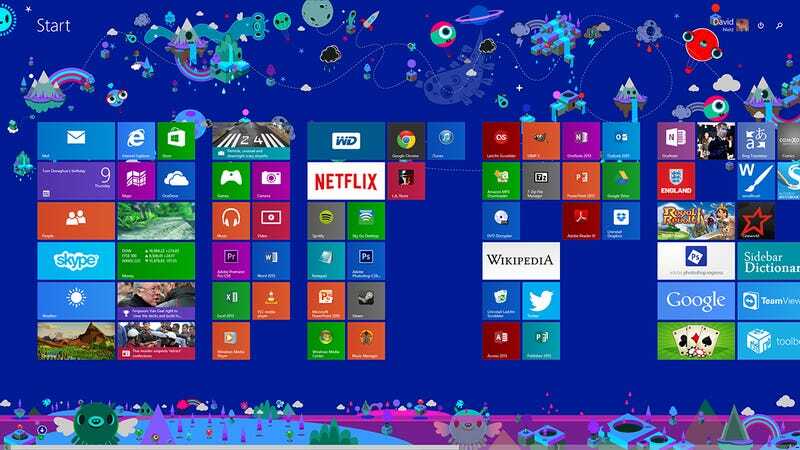 In the midst of trying to force a colorful, blocky Start screen interface on its users, Microsoft also used the opportunity of Windows 8/8.1 to more tightly integrate its OneDrive service (originally called SkyDrive). This extends to the user accounts you set up within Windows as well as the files that are synchronized between your desktop and the cloud. Choose to add a new user account on a Windows 8/8.1 machine and you'll be pushed towards making it a Microsoft one, linked to an Outlook.com email address, that lets you take your identity with you across multiple computers and mobile devices. This same Microsoft identity also signs you into OneDrive and can be used to sync settings over all the devices you access. The default behavior for Windows and OneDrive is now to sync all of your settings and let you disable the ones you don't want to use rather than the other way around. Click the Settings charm, choose Change PC settings and follow the OneDrive link. Open up the Sync settings screen to get at the relevant dashboard. There are plenty of options to play around with here, covering desktop personalization (Start screen layout and wallpaper), Windows Store apps and the associated settings, information stored in Internet Explorer (including website bookmarks and stored passwords) and even the way you've set up File Explorer and the mouse. Most of these options will automatically be enabled when you set up a new computer using a Microsoft account or when you create a new account on an existing Windows system. Most of the time, you'll find they come in very useful. The same account picture is used whether you're signing in at home or at work, for example. If you're old enough to remember the days of having to painstakingly configure each PC from scratch every time you added a new one or reinstalled Windows then it's a welcome improvement. What's more, all of your data is installed in the cloud as well as on your machines: If a computer should come crashing down then you can restore all of your settings, Windows Store apps and wallpapers (as well as files stored in OneDrive) just by signing in again on a fresh installation of Windows. As handy as this syncing setup is, perhaps you don't want photos of your kids as a backdrop while you're at work. Or maybe you don't need all of your desktop settings duplicated on your Surface. Switching off syncing options is as easy as toggling the switch next to the setting you want to disable. If you'd rather switch them all off at once, click the Sync your settings on this PC option so it reads Off. Some of the data you've previously synced up to the cloud may be retained by OneDrive, and if you want to get rid of that too then Microsoft has created a special online page that lets you remove any information stored on the Web. Once you've switched off syncing from your computers and devices, click the Remove button to erase it from the cloud as well. The same functionality is offered on Windows Phone as well. To disable it from a mobile handset, tap Settings from the app list and then Sync my settings. From the subsequent screen you'll be able to choose which options are synced between devices and which aren't: Internet Explorer data, themes, app settings and passwords are all included by default. In most scenarios it's a welcome feature to have if you're working with multiple Windows machines on a regular basis (desktop and laptop, work and home, and so on). That said, it's important to be aware of exactly what's being synced and how you can disable it if necessary.